Did you cry in 2015? 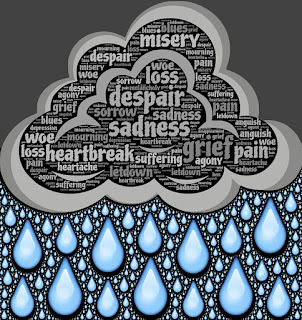 Grief, crying, and pain are part of our lives here. We can expect more in 2016. But, the Bible promises that a day will come when our tears will be wiped away and be no more. When I first thought about this verse, standing alone, I thought about how God would wipe away the tears of 2015. And my next thought was about going into 2016 with a clean slate. The sorrows of 2016, will be different than 2015, but sorrowful nonetheless. There will be trouble, pain, and tears, every year, until Jesus comes to put an end to everything. A great scripture that ministers turn to at funerals is one by Paul, from 1 Thessalonians 4:13, that says that we grieve our losses, but with hope. We grieve with hope. And our hope is in Jesus. 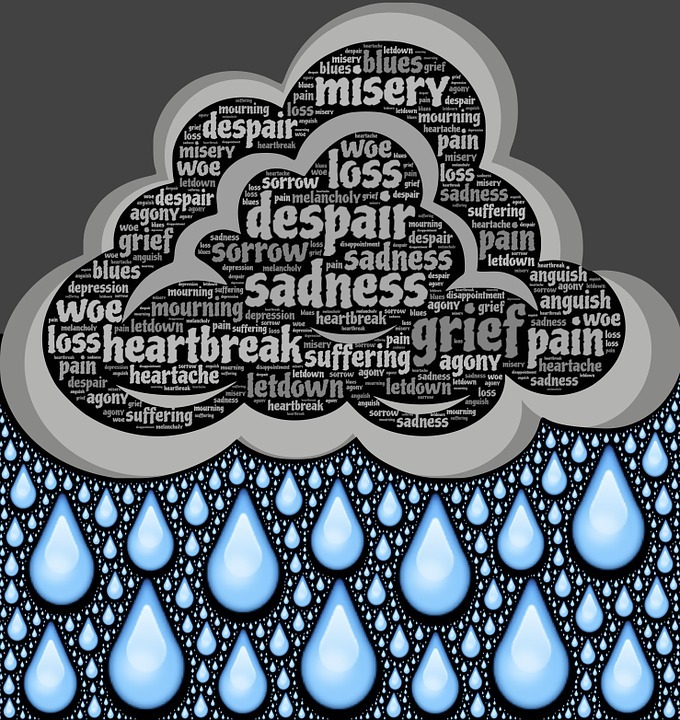 Hopeless grieving gets stuck on anger and spirals down into depression and numbness. Hopeless grieving says that life is really meaningless, and consequently, embraces idolatry. Hopeless grieving is self-focused and is unredeemable. But the Christian grieves with hope. We know that a time will come when He will wipe away our tears. So, we know that we have that future. That same God who will put an end to death, pain, and tears, is with us today to comfort us in our grief. That is good news. The gospel is that he has come to take away your sin and free you for eternal life. That eternal life starts today, and from now on, he dwells with you. An incomplete gospel says that Jesus died for your sins and will see you in heaven. Christianity is Christ dwelling in you and living his life through you. When you cry, he is right there with you. At the news of his friend's death, Jesus burst forth in tears. It was not out-of-control wailing, nor was is a crocodile tear. He wept. You wept in 2015 and you will weep in 2016. But, the good news is that he is with you. We needlessly suffer, even masochistically, when we do not practice his presence. When we blame others, blame ourselves, blame God; or immerse ourselves in self-pity; Jesus is nearby, but shut out. The picture of him standing at the door and knocking in Revelation chapter 3, is of him outside the church, outside the Christian's life, and asking to come in. He wants to share your pain and sorrow, your stuff of life. When we don't share our stuff with him, it stays unredeemed, untouched by him, and haunts us and pops up in our lives. We end up seeing life and others and God through our dirty or broken lenses and live in distortion and see things that are not there and end up preaching a distorted view of God, sometimes obsessively, because that becomes our religion and theology. When we do not "let him in" and hold onto un-grieved losses or grievances, yet desire righteousness (right-ness), we are vulnerable to adopting non-God ideas that are very religious, but do not smell good. And behold, the modern day Pharisee. He will wipe away every tear, and he does wipe away our tears today. A day will come when there will be no more tears. Today, we have tears and he comforts us. He said, "Blessed are you who mourn, for you will be comforted" (Matthew). He is also "The God of all comfort", who comforts us, so that we can comfort others in their suffering (2 Corinthians). I am encouraged that he has comforted us, held us, and wiped our tears, in 2015. Many of the pains of 2015 and before that have been comforted and even healed. That is good news. We don't have to carry them with us into 2016. He has scars and his kids have scars. Our wounds get healed and sometimes there are scars. That's ok, and scars are not wounds. Wounds need healing. One of Jesus ministries that continues to today is healing. He heals. He heals wounds, emotional wounds: things we cry over. He helps us grieve. Grieving is a process Jesus walks with us through. Losses from 2015 and further back may still need processing or healing in your life. Let him in. Let him love you and comfort you, so that you can be free for everything that is ahead.